After 28 years in private industry serving as a controller/CFO for a wholesale clothing distributor, an automobile parts manufacturer and an architectural design firm, John recently returned to public accounting with DCA CPAs. He brings extensive industry experience and skills to provide our clients accounting process and procedure development, strategic planning in budgeting and forecasting, owner compensation, benefits and succession planning. As a graduate of Occidental College, John obtained his Bachelor of Science in Economics. He worked in public accounting for 10 years after receiving his certified public accountant’s license in California and then Ohio. 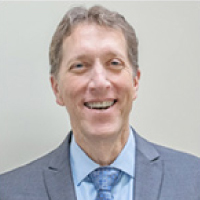 John is a Member of American Institute of Certified Public Accountants, Member of Ohio Society of Certified Public Accountants, and is the Finance Committee Chair and Past Board Treasurer of Temple Sholom of Cincinnati.